Wow, that's terrible! I only made Christmas gifts for a single recipient, my sister, and it was something I should have made for her over the summer! 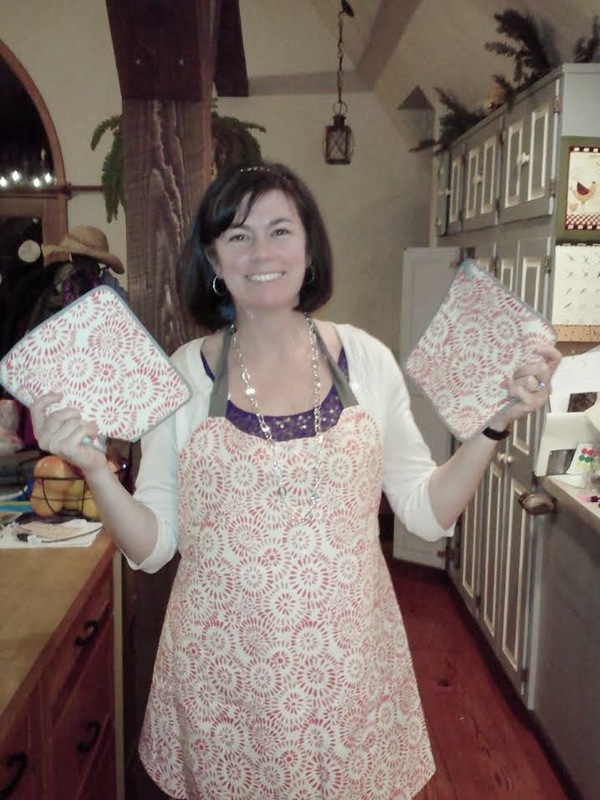 This apron, from Lotta Jansdotter's Simple Sewing, is my favorite for everyday wear. It covers you, and it's reversible. This one was made with lovely printed linen, with gray twill for the ties. I guess with a busy end of term at work, silk slip project for Britex, Christmas rush and all the various school-related pre-Christmas activities, there just wasn't time for a bunch of sewing for gifts. I even opted to purchase pajamas for my boys (despite having bought fabric to make some) when it got to the eleventh hour and I still had a party and a dinner at my home to prepare for. From the kids' perspective, I'm sure a sane mom is preferable to mom-made PJs! Since we didn't fly home to NY for the holiday, my sis sent along a photo of her with the gifts, along with a note that said she loved them. Since I could only chose one person to get a made-by-me present, I'm glad she was the one! Did you get as much holiday sewing done as you wanted to? As a sewist, do you feel an obligation to make gifts? Great gift. I have that book, I think I'll make the apron, too!